Usos and Tye win the match after a triple superkick on Cesaro. Anderson won with a roll-up. Asuka submitted Rose with the Asuka lock. Xavier Woods picked up the win for his team after pinning Eric Young with the Midnight Hour. Nakamura picked up the win after Orton hit Hardy with the RKO. Nakamura laid out Orton with the kinshasa then pinned Hardy. Truth pinned English with a scissors kick. Flair submitted Carmella with the figure eight to retain the title. 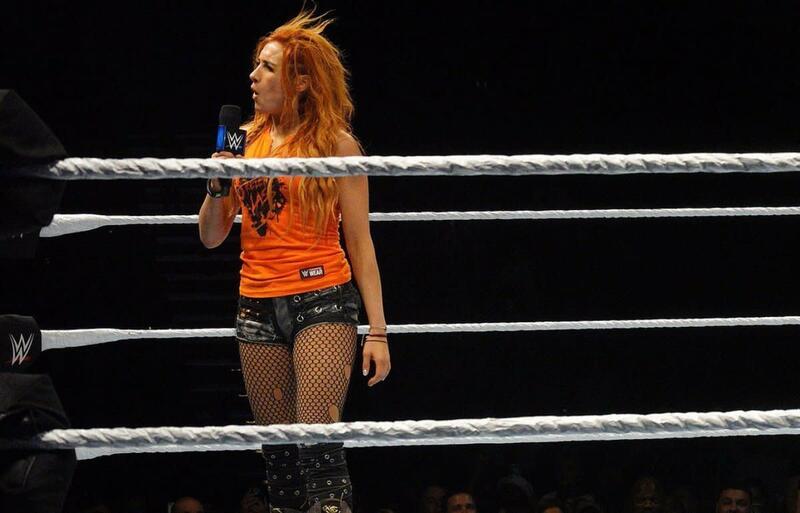 Becky Lynch jumped Flair after the match. She took a microphone and said she was tired of Charlotte stealing her opportunities and that’s why she attacked her. Charlotte fought back and sent her out of the ring. Styles pinned Joe after the phenomenal forearm.